My friend Melissa forwarded me this article from associated content from Yahoo about wedding etiquette when it comes to the almighty social media monster...Facebook. As little as 5 years ago, I never dreamed that Facebook would be what it is...and see people live their lives out online...but it's happening and just as we have to adapt to being careful what we put out there about our lives, we have to be careful what we put out there about our weddings. The article, Wedding Etiquette: What Not to Post on Facebook by Bronwyn Timmons was overall pretty good...but there are points that I do disagree with. Bronwyn Timmons: "Mixed" It is perfectly acceptable to announce your engagement on Facebook after all close friends and family have been notified in person or over the phone if they are far away. Consider it this way; would your mother, father, grandma or sister want to hear the news through an internet message? Once these people have been told it is okay to post the big news. Just be polite in your wording. Daily Dose of Wedding: "Appropriate" Go ahead and do it. But first, make sure you call (texting is okay to) all those family and friends who need to know *first* and then tell the social media world. I made the mistake and left one person out and felt terrible! It's a very exciting time...share it with everyone! BT: "Appropriate" Posting pictures of your engagement ring is perfectly acceptable. Chances are, half of your friends list will be asking to see it anyway. For family and friends that live far away, a photo on Facebook might be their only way of seeing the ring before your wedding day. However, post with respect. Do not include captions about the size of the ring or with any kind of statements that could be read as boasting. Remember that you are the photos and should be polite in doing so. DDOW: "Mixed" I speak personally, that I chose not to post my engagement ring on Facebook. Those who were meant to see it (a) saw it in person or (b) received a picture message of it. While I was all for sharing our engagement announcement on the site, my ring was MY ring...only those who sought me out got to see it. BT: "Inappropriate" Asking friends via wall posts or announcing who you have chosen on Facebook are both etiquette no-nos. Bridal party members should ideally be asked in person or over the phone if they are far away and by posting your choices on the web you are bound to hurt some feelings. Save the announcements for your wedding website, not Facebook. DDOW: agreed, "Inappropriate" Yeah...what BT said. I had a bridesmaid make her status that she was excited to be in our wedding...needless to say it ruffled the feathers of others who were not ultimately in the bridal party. BT: "Appropriate" Like your engagement ring, anyone who knows you are getting married is bound to ask you when. Adding a countdown to your Facebook profile is perfectly acceptable, as is making a status update about your choice. Again, be considerate in your wording. DDOW: "Appropriate" The topic is bound to come up and even if you choose not to share it...eventually you'll cave and start a countdown when it reaches 6 months. Sure there may be inappropriate jokesters who are like hey where's my invite but it's definitely okay to put out there. Especially for those who know they are invited to know! BT: "Inappropriate" This kind of information is inappropriate for two reasons. Unless you are inviting everyone on your Facebook friends list to the wedding, it is inappropriate to give them all of the information. Feelings could be hurt as friends who are not invited watch the date and time draw closer without receiving an invite. Some friends might even read into your sharing as as open invitation, bringing wedding crashers to your event. Of course, Facebook has privacy settings that can be customized for each post. If you want to post this information for only close friends and relatives to see, just make sure you change the privacy settings first. DDOW: Agreed, Inappropriate. I have close to 900 friends on Facebook but they all weren't invited to our wedding. If someone asks you, I see no harm in responding but publicly displaying it is a definite no no. BT: "Inappropriate" Your wedding website will contain all of the vital information about the day, including a link to your registry. This is information that should only be viewed by those invited. 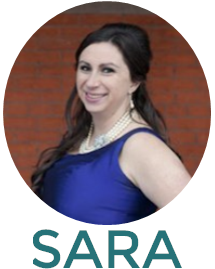 Feelings are bound to be hurt for those uninvited to the wedding, allowing them access to your wedding website will only rub salt in the wound. Those who are uninvited may also view the gesture as rude and asking for gifts. Include the link to your wedding website on your save-the-date cards or send it to invited guests in private messages. DDOW: "Mixed" It's like sharing all of the details...but more indirectly. Some couples work really hard on their sites, sometimes forking over some cash, and really just want to display what they've done. Personally, I put my site up when I first finished it...it took me a while to perfect it so I definitely wanted to share; but I understand how it can be frowned upon. It's really whatever you want...I chose yes. www.mywedding.com/jayandsara -- yes, it's still live! BT: "Appropriate" Posting pictures of your wedding once all is said and done is perfectly acceptable. Many people do this and all of your Facebook friends are likely going to want to see them. DDOW: "Appropriate!" Absolutely acceptable. Most people - invited or not - will want to see the photos of your amazing day. And if you're someone like *me* I just love looking at wedding photos in general. It's after the fact so it's just a place to display all your photos! 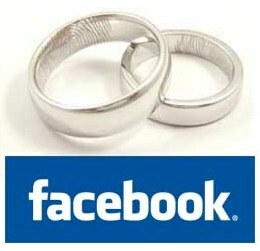 So readers, what do you think about weddings and what to showcase on Facebook? Is there something that myself or BT think and you disagree? Or did we miss something? Let's hear it! I love the post. I completely agree with everything! However, after waiting over 8 years for my ring.. I posted a picture so people knew it was real!! haha! I agree with everything said, except for the ring one, I don't see a problem with people seeing my ring. I'm very mixed about the ring. I feel like people post everything on Facebook - but they also judge everything you put out there. I see nothing wrong with putting your ring out there in a photo but I just chose to keep it off.